A red-letter-day and a baby gift dilemma. Yesterday was a red-letter-day for our family: our first grand-neice was christened. Officially in the Indian context (I know the previous sentence and this one, running together don’t make much sense – we are a multi-cultural family; Christian; Greek Orthodox, Roman Catholic, several Sikhs, some atheists, the odd agnostic, but I digress…this is not about religion, its about baby gift dilemmas ) I am a grandma, although its my nephew’s baby, I’m quite happy to be included! All the stories about grandparents going gaga over their grand-children are true; my sane, high powered, sensible sister, becomes a ridiculous, cooing, crooning silly and actually so do I!! The birth of a baby is a great celebratory occasion and gift giving is expected. Therein lies most people’s dilemma. Where does one find a unique, different baby gift, that is useful, delightful and be a great remembrance for the baby? That got me thinking, about Tiffinware’s collection of baby gifts and why they are considered as such. Us old fashioned folks are always concerned about things being practical, not a waste of money, long lasting, etc!! 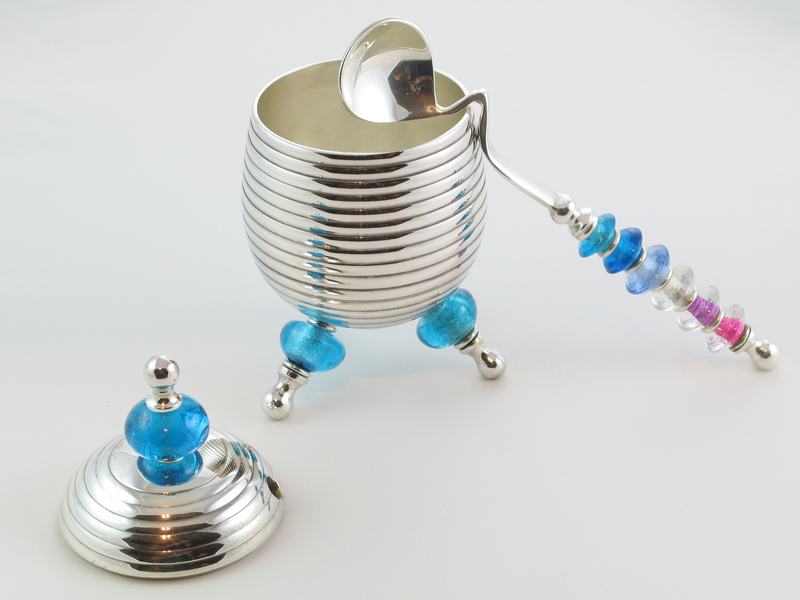 With that premise in mind, at Tiffinware, we design products that are not only functional, but fun; bring a smile over a treasured gift and should be useful too! An Egg Cup with a matching Egg Cosy, to keep your boiled egg warm and yummy! “Does she eat boiled eggs?” my husband asked. ” Well not yet, she’s too young, but she will, and it will be useful then.” I replied. 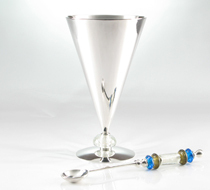 Just imagine your own luscious, personal, Ice Cream Cone and Spoon for delicious ice cream celebrations! 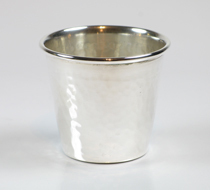 Hammer finish Christening Cup, a great baby gift idea for a perfect present, packaged in its own special pouch. 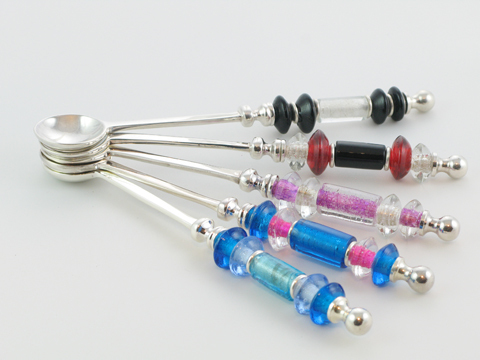 Part of the Tiffinware Signature Collection, the Round Teaspoon is silver plated and beaded with interchangeable glass beads allowing you to have your gift personalised for the recipient. 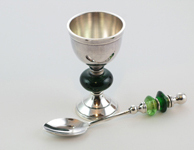 and the ‘Signature’ Tiffinware round teaspoon. 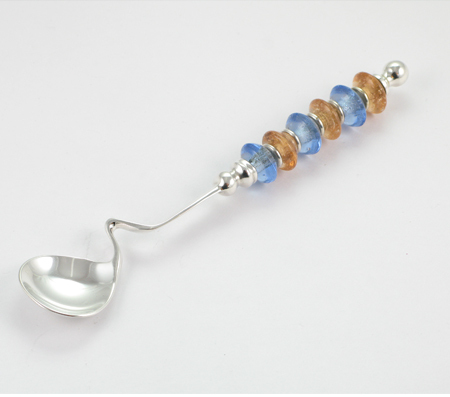 Long handled silver plate spoon, ideal for yummy Ice Cream, serving jam, chutney or as an iced coffee or cocktail swizzle stick! 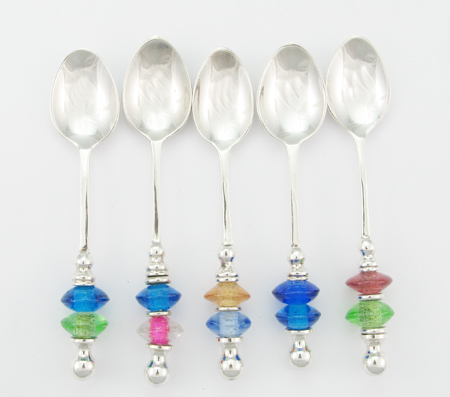 All our spoons have interchangeable glass beads and can be customised for the recipient. 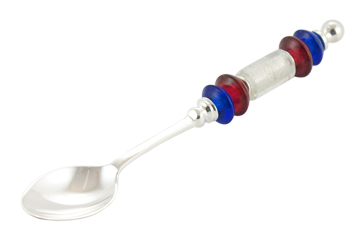 A long handled, multi-purpose, versatile silver plate spoon suitable for ice cream, iced coffee, serving jams or chutneys, and extremely useful for stirring cocktails in later life! A different, yet elegant and ‘useful’ Christening Gift! “How much ice-cream can a person eat?” Should I tell him?!! This Honey Spoon’s ‘Wiggly Stem’ allows you to hook the spoon on to the rim of a jar or pot so the honey doesn’t drip and make a sticky mess! I’m sure you’re longing to know which one we’re opting for? After much discussion, she’s going to get them all, talk about ‘born with a silver spoon!’ She’s going to get the whole canteen and sideboard too! In case you were wondering, here’s how the Honey Spoon ‘hooks’ on to a jar or pot of honey or jam, with that we bid you a ‘sweet’ farewell for now and hope you enjoyed a look at our baby gift ideas? If you visit the page, you’ll see our baby!